What is the viewing angle on those? Does the spare tire get in the line of vision? Does the glare from the light interferes? The spare tire does not interfere with the line of vision. 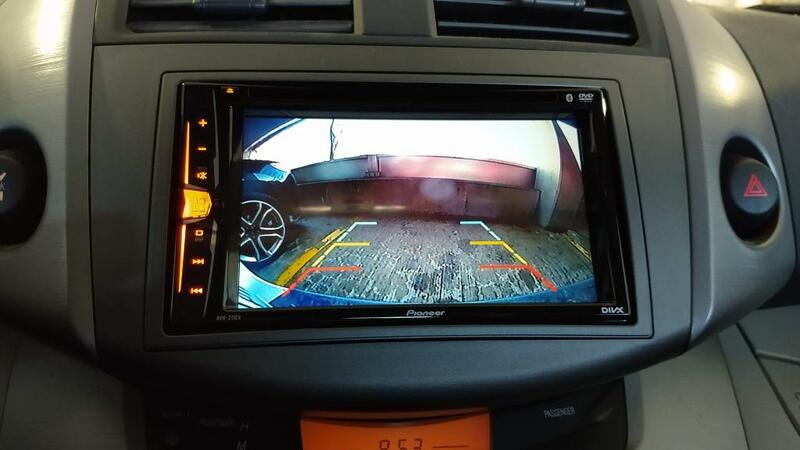 I doubt the viewing angle is that wide on those cheap backup cameras and besides they are not that expensive so why worry? Not too much glare from the sun since the camera is not looking up at the sky. Foggy days are when visibility is bad. The camera installed under the bumper - you can't see it unless you know it's there. The point of view if somewhat lower than you would expect, but you see everything you need to see. The cable was routed via rubber grommet where you have a jack and then inside under plastic panel on the driver side all the way to front. This is what I like about Toyotas - the gaps between the panels are so big you can hide small water supply lines . Not sure if AVH-W4400NEX have it, but I would get the one with adjustable overlay lines. Mine don't have it and It's not a problem for me, but if somebody will use my car and assume lines on the video are correct - they might get a surprise. I had to jump the ground from camera RCA connector to Pioneer ground - I cant believe it was not connected inside the radio, but that is how it is on mine. The camera was not getting a power without it. I considered using one of the camera license plates, but running cables via door panel is much harder task then just poking a hole in rubber grommet. I'll try and snap some pics this weekend. I recently bought this for my '06 and finally installed it this weekend. 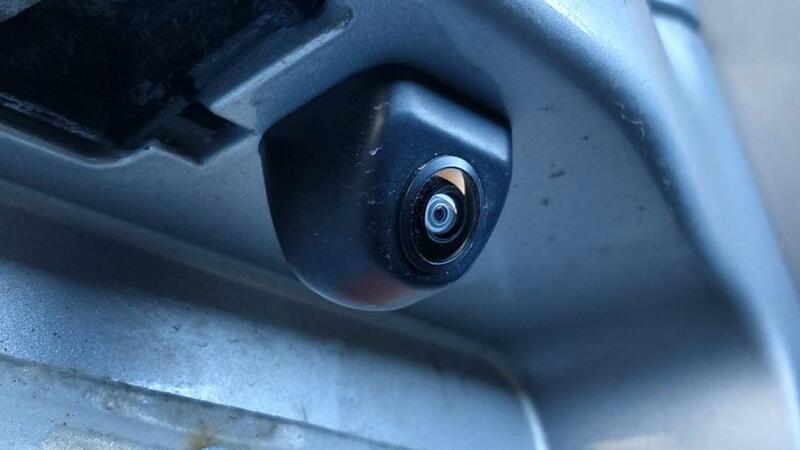 I wanted to remove an old wireless backup camera that was previously installed, so I removed all the panels again from the passenger lower side as well as the hatch, to make wire routing easier. 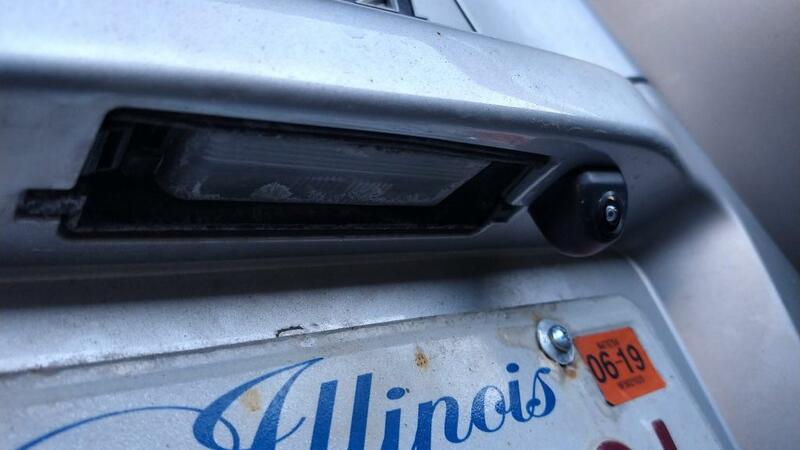 Found an area next to the license plate light, drilled a hole through the plastic, and routed inside the vehicle. The spare tire cover does block a small portion of the camera view, but not that much where it will hinder the entire view, I could've move it outward a bit more. Overall, I'm quite satisfied with the result. Your pictures didn't upload properly. The thumbnails in your album are there, but not the full size pictures. Try uploading them again. @JuneBug , I uploaded them again, can you check? That did it! I like that camera and the way it mounts. Good job! Thanks. I thought about getting a license plate version before seeing this one, figured might as well give it a try since it has mostly positive reviews. The installation process I went through would've been the same anyway. The kit does include a few padded gaskets with different thickness that can be added to the base of the camera, I will give a try next time to see how much of the spare tire cover on the upper left corner can be eliminated. Why didn't I do it while the hatch panels were off? I was pressed for time since I had some hungry family members.